“When clients look to sell properties nowadays, most ask for a pricing, marketing and staging strategy,” says estate agent Owen Reilly, whose eponymous Dublin agency has recently sold apartments to buyers who’ve never set foot in them, and who’ve purchased based on the online video tour alone. Reilly believes property staging is well worth the investment as it helps buyers mentally move in. According to the National Association of Realtors in the US, an investment of between 1 per cent and 3 per cent of the asking price into staging typically yields more than 6 per cent above the asking price. Moreover, staged homes spend a shorter amount of time on the market, up to 73 per cent less in some cases. So, what exactly does staging involve? Irish interior designer Natasha Rocca Devine, aka The Interiors NRD, having worked in staging in LA, explains the process is quite a logical at first, with a splash of creativity throw in after. 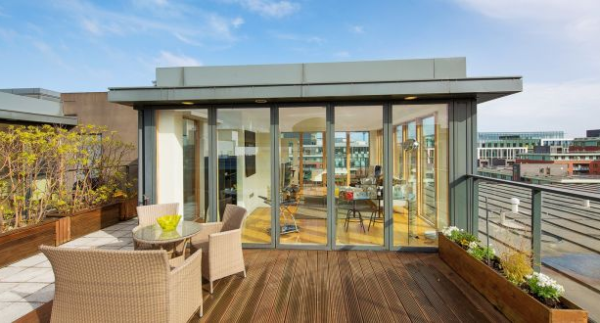 Having recently returned to Dublin, she has just completed a staging project of a three-bedroom penthouse at 20 Hanover Riverside, Grand Canal Dock, which Owen Reilly placed on the market this week, asking €950,000. 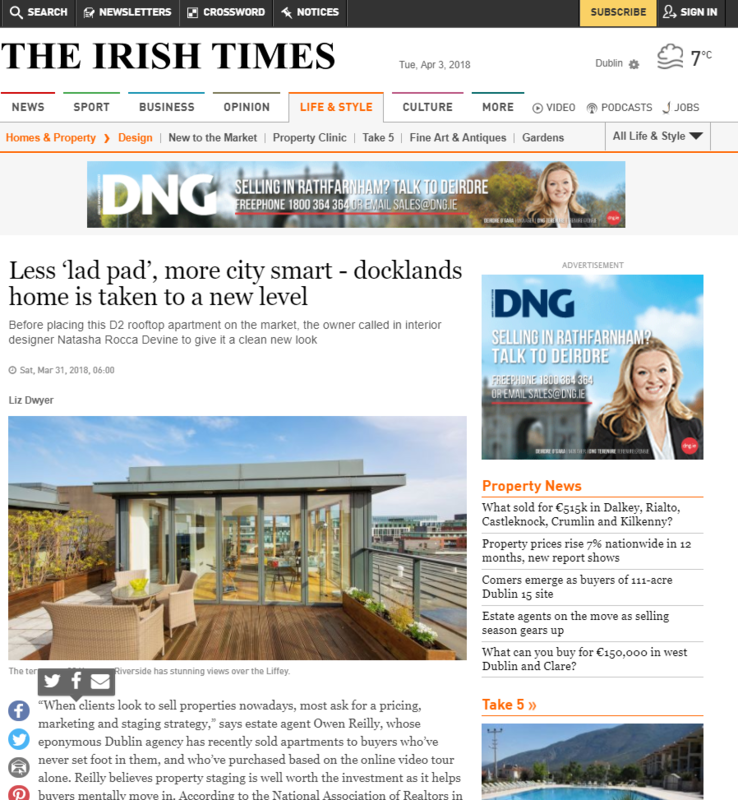 “This is a great space, with stunning views across the River Liffey and Dockland’s skyline but it was just looking a bit tired and rather lad-pad like,” says Rocca Devine. The staging began with a big clear out – all the lazy boy recliners and giant kitchen table were removed as she felt they wouldn’t appeal to today’s corporate buyer and were also taking up too much floor space.